WASHINGTON — Key Democratic lawmakers are calling on U.S. President Donald Trump to cancel his meeting this week with Russian President Vladimir Putin after the indictment of 12 Russians hackers for meddling in the U.S. election. Senate Majority Leader Chuck Schumer, D-N.Y.; Senate Armed Services Committee ranking member Jack Reed, D-R.I.; Senate Intelligence Committee ranking member Mark Warner, D-Va., House Armed Services Committee ranking member Adam Smith, D−Wash., 19 Democratic members of the House Foreign Affairs Committee and were among Democrats who said Friday that Trump should back out of a one-on-one meeting at the Helsinki summit. The pressure came after the Justice Department announced Friday that indictments were handed down charging Russian intelligence officials with hacking various computers, including in Hillary Clinton’s Campaign and the Democratic National Committee. “These indictments are further proof of what everyone but the president seems to understand: President Putin is an adversary who interfered in our elections to help President Trump win,” Schumer said in his statement. “In light of this stunning indictment by the Justice Department that these Russian conspirators attacked our democracy and were communicating with Americans to interfere in our election, President Trump should immediately cancel his meeting with Vladimir Putin,” Reed’s Friday statement said. Connecticut Democratic Sen. Richard Blumenthal, who serves on the SASC and Senate Judiciary Commitee, joined the chorus of Democrats who said the Special Counsel Robert Mueller’s investigation was not the witch hunt Trump and other Republicans have alleged. He also argued the Putin meeting should be cancelled. 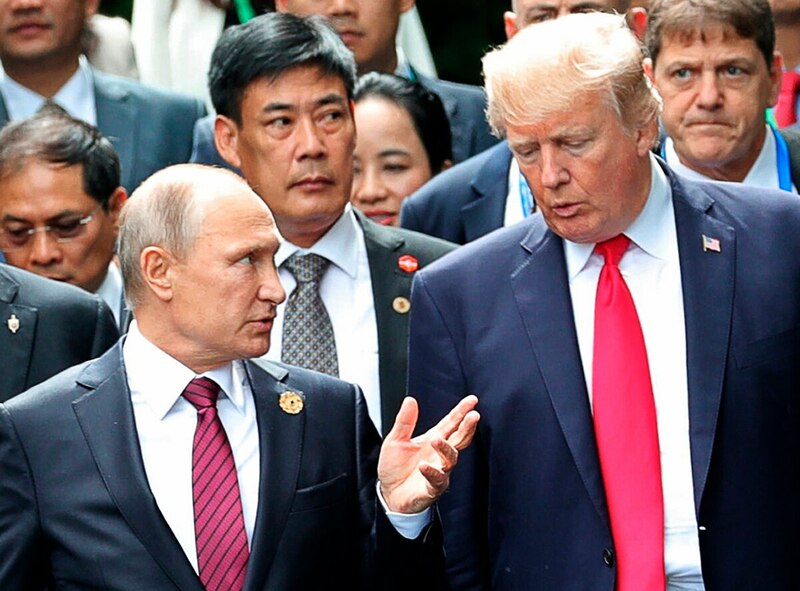 One SASC Republican, Sen. Ben Sasse, reacted with a statement calling for unity against Putin, saying the Russian leader, “is not the President’s buddy.” He did not call for the meeting to be cancelled.